Can anybody please explain this to me?? how can you have to many requests when you have 3 people in your guild?? Something's very wrong here . 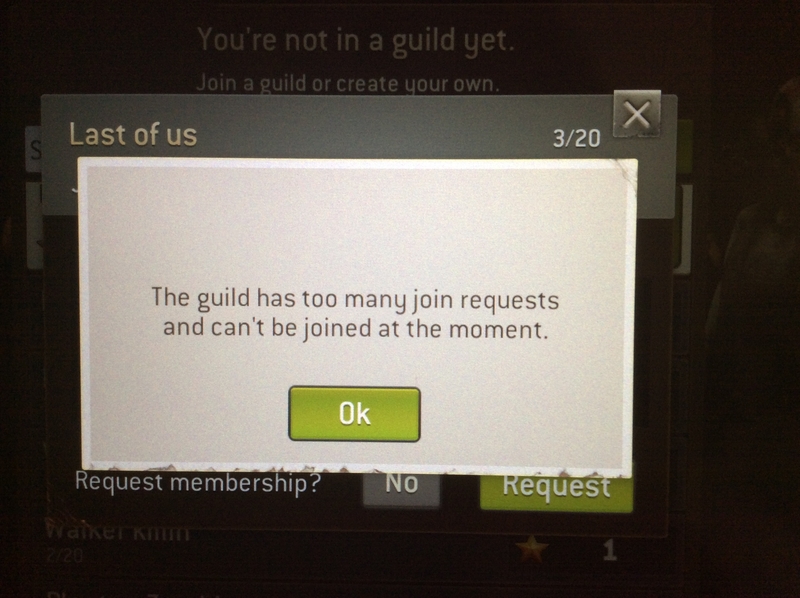 I think the issue isn't the amount of members the guild has; it's the amount of pending requests the guild has. 3 members in the guild, possibly 17 pending requests which would make it potentially 20 total; and then you can't send your request because there's technically 20 pending members. @capibara said they would get 30+ requests tho when things worked right so I'm just confused but I see your point and thanks!! Always enjoy your posts btw! Oh... 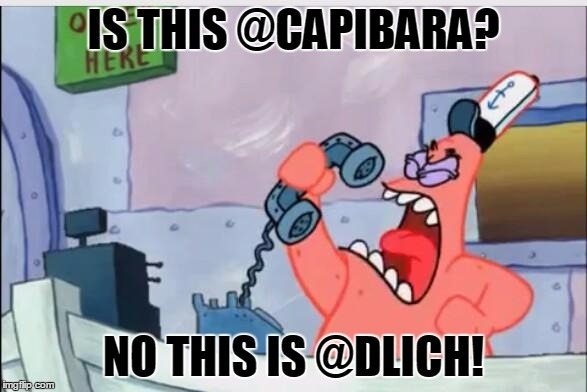 I misread.. You were saying what Capibara said. Oh well... I put time and effort into the short story above so I'm going to keep it there Nobody want's to join us in DF2 as we've been trying to get some players but nobody wants to join us . Usually i had this warning too bit there was not a real limit.bsometimes it said i had too ma y requests when i had 8 but i'm sure i've get also 14 requests waiting before starting to refuse. The point now is how could your advertising be workingNif i advertized 5 hours ago and i get not a single request Because they said that advertising is broken??? If it's you out from a guild you can't join until they will refuse previous requests. @capibara -- there's still a few days left to bump my PSA thread about Advertising functionality. Is it working as intended? @Gindy ..yes, i've read. Not sure if makes sense to bump again. They know that but no one of them is too much worried for that... Not even more worried for my reply.. Anyway i will bump..
@Gindy ..."few days"..?? What next? Apocalipse zombie?? There's indeed a glitch. 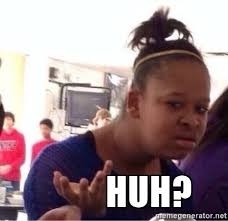 My new guild scored over 11,000 stars on our first week and I bought an ad yesterday to try and fill our vacancies, but it said we scored 0 stars in the last challenge. Got one request all day. My previous guild (comprised of all my current members before our leader went AWOL) would get hundreds a day. I sent in a support ticket and they confirmed my suspicions. I asked for a refund but they didn't give me one. That's pretty BS, if you ask me. This seems like a good place to advertise since ng wont fix it in game.